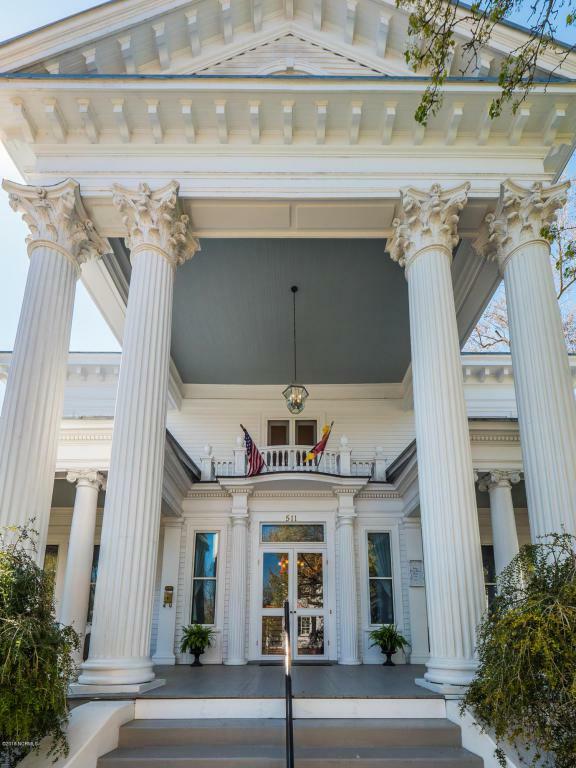 Since 1908, this river facing Neo-Classical Revival home with restrained Colonial Revival detailing which was built for Judge Larry I Moore has been one of New Bern's most stylish and up to date residences....so says local historian Peter Sandbeck. This formal home has been visited by dignitaries and hosted many prominent social events both in recent times and over the decades. 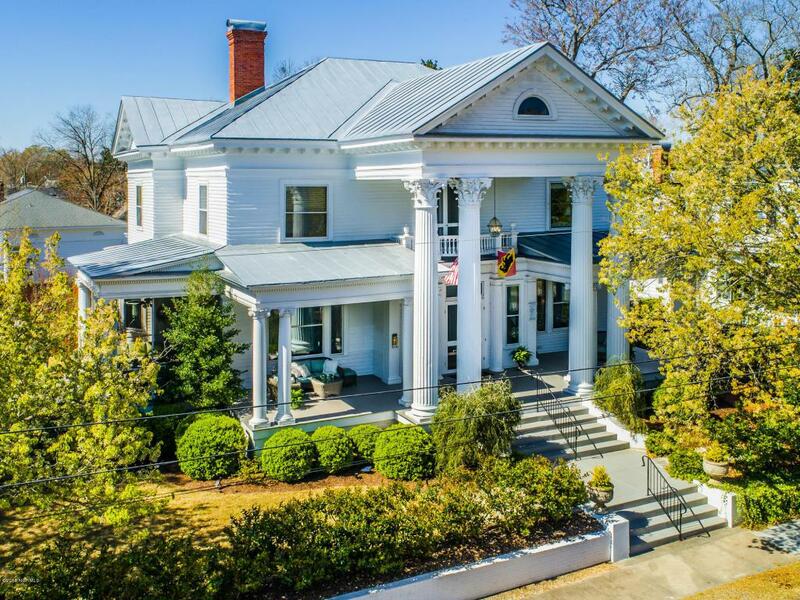 This is one of New Bern's grandest homes designed by Herbert W Simpson. Steeped in tradition and history, this home has been lovingly preserved with great detail and updated in all regards. The entrance hall features wide articulated stairs greeting guests in southern style. Rich wooden flooring warms and highlights the home. Detailed finishes and tasteful colors accent the period architecture.The modern kitchen is the genesis of entertaining while guests flow throughout the home and onto the outdoor living areas. 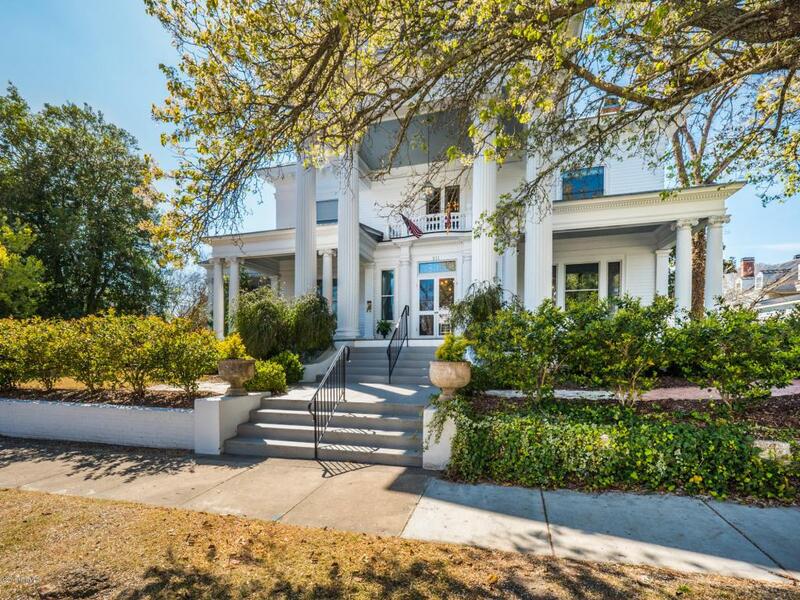 This property perched across from the Neuse River and within walking distance of the center of town is certainly one of a kind and is ready for the next 100 plus years of enjoyment! Located on the confluence of two rivers, close to the regional jetport while connected by interstate highways, New Bern is a sailors and boaters paradise. 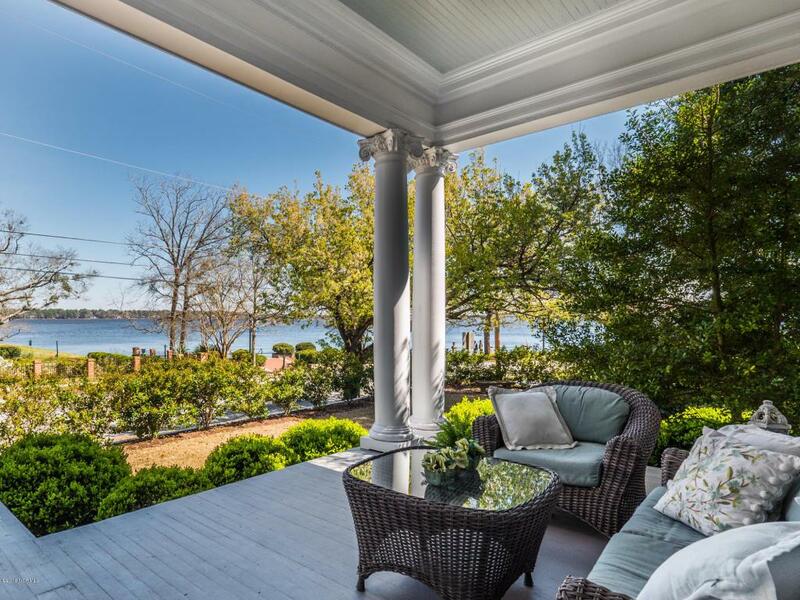 Southern living at it finest can be had right here!